If you’re wondering, “does urgent care do STD testing?” the short answer is: yes. However, it may not be the best choice for getting annual or regular STD testing. While most urgent care centers do offer STD testing, there are certain situations in which you might benefit from going to a testing center for STD testing instead of urgent care, and vice versa. One reason people are more likely to go to urgent care than their doctor’s office is that they can typically get same day STD testing, walk-in care that a doctor’s office can’t provide. In addition to this expedited service, for many, going to an urgent care center relieves them of the embarrassment that can be associated with visiting their doctor or a clinic. Another reason someone might go to urgent care is if their insurance provider covers urgent care visits. Unfortunately, while this may seem like a cheaper alternative to clinics and testing centers that don’t accept insurance, what patients may fail to realize is that, while the copay for a visit to urgent care might be covered, STD tests are typically additional costs, and those costs may not be covered by insurance. Depending on which urgent care you go to, what your insurance covers and how many tests you have done, your costs could range from $50 to $250 dollars, on top of your urgent care copay. Priority STD Testing offers many of the same conveniences as urgent care. At Priority STD Testing, you could set up a testing appointment online for the same or next day, be in and out of the testing center in 30 minutes and have your results in a matter of days, all for costs comparable to or cheaper than urgent care, and without a lengthy stay in a waiting room. Additionally, at Priority STD Testing, you can avoid an uncomfortable conversation with a doctor or nurse. After providing some basic information to a care counselor online, all you need to do when you show up for your testing is provide the necessary sample(s) and leave. Because Priority STD Testing does not accept insurance, there are no surprises as to what the cost of testing will be. Additionally, because the testing is not processed through health insurance, results or records will not be reported to your insurance provider or be part of your personal health record. When should you go to urgent care instead of a testing center? While the testing experiences at urgent care and a testing center like Priority STD Testing are comparable in a lot of ways, there are instances in which it is more beneficial to go to one place rather than the other. One primary reason to visit an urgent care center over an STD testing center is if you’re worried about a particular symptom you’re experiencing. Symptoms for STDs can often seem like symptoms for other infections, and vice versa. If you’re experiencing a symptom, a visit to urgent care or your doctor’s office is the best bet for figuring out what the cause of that symptom may be and getting the treatment you need. When should you go to a testing center instead of urgent care? If you aren’t currently experiencing symptoms of an STD or other infection, going for STD testing at urgent care could potentially extend the wait of other patients at urgent care who need assistance. 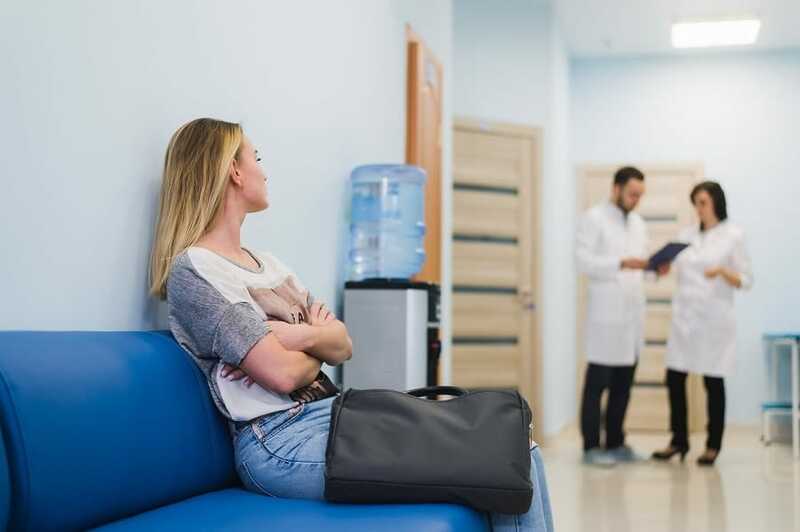 Urgent care is often first come, first serve, which means, if you’re not experiencing painful symptoms, you’ll either be prolonging the wait of someone who is in pain, or, if the urgent care center prioritizes them over you, prolonging your own wait. Either way, it’s faster, easier and more convenient for you and everyone involved if you go to an STD testing center to get tested. Regardless of where you get tested, what’s most important is that you are getting tested regularly if you’re sexually active.